Prominent & Leading Manufacturer from New Delhi, we offer soft line lunch box, promotional lunch box, kids lunch box, insulated lunch box, storage box and electric lunch box. Enriched with vast industry experience, we are engaged in offering a wide variety of Soft Line Lunch Box. The offered lunch box warms up food at clients ease providing the taste and aroma of fresh-cooked food. 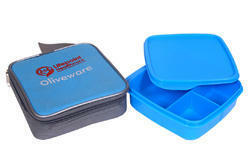 The offered lunch box is provided in various designs, sizes & customized options to suit demands of customers. In addition, offered lunch box is checked by quality experts in order to ensure its defect free range. With an objective to serve our customers through qualitative products, we manufacture and provide high quality range of Royal Lunch Box with Four 4 Stainless Steel Container. These promotional products can be personalized with company name and logo. They are advance in design and available in various standard colors. These executive boxes are provided at attractive market ranges. Backed by state-of-the-art manufacturing processes, manned by the team of experienced professionals, we are engaged in offering Champion Children Lunch Box. 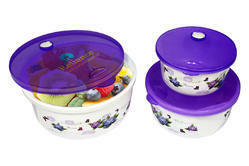 This children lunch box is highly efficient in keeping the food warm, fresh and safe for a long time period. Offered children lunch box is provided in various shapes & sizes in accordance with the needs of customers. 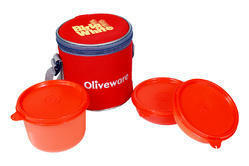 Our valuable customers can avail this children lunch box from us in quality packing within confine time. We are offering wide range of Insulated Lunch Box, which are made from the premium quality plastic which provides great durability to our products. 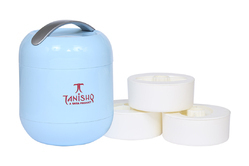 Our range of Lunch Box are make food fresh for long hours and it is very convenient to carry. Plastic Storage boxes use for food or Store other things & its come in different colors. Focused on technological up-gradation, dynamism and innovation, we are moving ahead by maintaining timeliness in delivering a wide gamut of Electric Lunch Box that is mainly used for heating lunch, soup & other food. This lunch box is suitable for the student, worker & white collar. 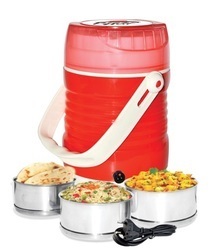 Offered lunch box is available in pink, red, blue & orange colors. Our lunch box is featured with excellent design, fashion, practical, easy control.